Knowing how to swim is a must – it is a skill that could ultimately save your or your child’s life. But if you’re not confident in the pool, never learnt to swim or don’t know how to get your children started you might need some more advice. 8 Reasons Why Swimming Is So Good For You! It’s great for shaping up. Even a gentle swim can burn over 200 Kcal in half an hour and a fast front crawl can burn as many calories as an 8mph run. It’s great for mental health. Studies have shown swimming improves psychological well being. Female swimmers in particular have been shown to experience significantly less tension, depression and anger after exercising than before. Leisure centres offer all types of sessions such as aqua aerobics or gym-style pool based programmes. It’s the only sport that can save your life. Over 400 people drown in the UK every year and it is the third most common cause of accidental death in children. No matter what your age, weight and physical ability, swimming and water-based activities can provide you with a workout. Swimming is great for people with medical conditions. Swimming is particularly good for pregnant women or those with disabilities, injuries or illnesses like arthritis because swimming can support up to 90% of the body’s weight in the water. Don’t forget always consult with a medical practioner before going swimming or doing any water based activity. Swimming can offer the ultimate challenge. No matter what level you are at, swimming can allow you to achive many goals or dreams! Whether that’s swimming the length of the channel in your local pool, taking the plunge at an open water even like a triathlon, or even be the next olympic gold medalist, if you learn to swim your on the right track, or should we say, in the right lane! Swimming is a sport people can start at any age, and can do for life! Swimming has no barrers when it comes to age restriction! There is even a category for people who want to race in events over the age of 100! So if you want to learn an activity that’s with you for life then Swimming is is the one for you! We welcome children and adults of any age and ability wanting to learn to swim. All our friendly instructors are fully qualified and have Enhanced DBS Checks in place. You can be sure to find learn to swim lessons near your home with 11 venues across Liverpool, Sefton, Manchester and Cheshire to choose from. All students will learn to swim via the Swim England learn to swim framework. Our learn to swim lesson prices are some of the most competitive across Liverpool, Sefton, Manchester and Cheshire. We'll guarantee that our students will enjoy their swimming lessons and have loads of fun! Do you have a pool at home or another private location? A member of our team can visit you in person. We hold full day learn to swim crash courses throughout half terms. Read What Some People Have To Say About Us on our Facebook Page! My son has just achieved his 5m swim certificate and I can’t thank Will and the team at star swimming enough for their patience and dedication they have shown teaching Hugo to swim. Hugo was very scared initially at learning to swim and wouldn’t even get in the pool. This changed immediately on meeting Will who was so funny even I couldn’t help but laugh. Will is 100% focused and in the moment with every child I have seen him teach. I watched my sons confidence grow as he played with Will in the water. He was having so much fun I don’t think he even realised he was learning to swim. I can’t believe how quickly Hugo has gone from being scared of putting his face in the water to actually swimming unaided. Now there’s no stopping him. I can highly recommend Will and the team at star swimming. My Ivy loves her swimming lessons at De La Salle so much; she idolises Julie who I must say has the patience of a saint with her when she's wanting to cuddle her all the time! Would recommend this company to everyone! Absolutely first rate swimming tuition, Will and his team did an amazing job teaching my two daughters how to swim at Formby Hall, Will made it so much fun and his passion is out of this world.... Highly recommended. I can't recommend these guys highly enough. Over the period of time my son has been with them he's moved on from actually being scared of water to a very confident swimmer who enjoys being in the water whenever he can. Fantatsic!. STAR SWIMMING ACADEMY - Voted Best Inclusive Sports Group at the 3rd annual Liverpool Fitness Professional Awards! Great people. Taught both my boys how to swim and came highly recommended from family members. Very professional and caring attitudes make lessons funfilled for kids. A great team of staff who teach swinming with a very child centred approach. My son was taught by Will and his team when he was terrified of water and really small. My baby is now 12, we live in Australia and my son rides the waves at his local surf club. Thank you Will and team for giving my son the skills and confidence to be a great swimmer! Absolutely first rate swimming tuition. Fun, friendly and encouraging but with real technique taught by excellent teachers. Highly recommended. Star Swimming are absolutely amazing. They make learning swimming so much fun. All of the kids love Will and the team. I would recommend them to everyone! Star swimming have had a long association with the charity I work with. The whole team are excellent with the people they work with and teach. I would have no hesitation recommending them to anyone. I've had the pleasure to work with Will, Tracy and the instructors of the Star Swimming Academy for over 6 years as their Web/Graphic designer and it’s been so rewarding for me to see how hard they work to teach and encourage children to swim! It's a testimony to their hard work that the Star Swimming Academy has been recognised by many as one if not the best Learn to Swim Organisations in Merseyside! Keep up the wonderful work, 2017 is your year to gain more well deserved acknowledgements/awards for what you all do! A wonderful swim school, the teachers genuinely care about their swimmers, ensuring that you get excellent value for money. Your kids will love the class and will learn very quickly. Will, Tracy and the team are superb. Professional, caring and conscientious. I was lucky enough to teach alongside the team for a few years and learnt a lot about what makes a good swimming lesson from Will and the other teachers at Star Swimming Academy. Will and his team of coaches at star swimming are great at what they do for the children of all ages, they keep them relaxed and happy in the lesson which makes it so enjoyable to watch your child gain confidence in learning to swim and it's something they will always need. A happy child is a happy mummy and daddy. Well done Will and your Team you are a credit to helping kids learn to swim. Learning To Swim Has Never Been So Much Fun! Come and Join us Now! 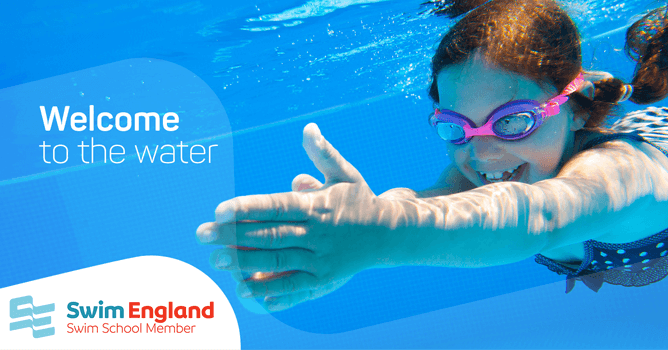 We hold Swimming Lessons in 10 locations across Merseyside, Manchester and Cheshire. Our Learn to Swim classes are held in venues in Liverpool, Sefton, Didsbury and Wilmslow. The Star Swimming Academy's core values are crucial to the success of our staff, students and pool proving partners, as well as the Academy itself. 2: Bring energy and passion to the work we do. 3: Be professional but fun and a little crazy. 4: Promote and provide Child Protection at all times. 5: Have the highest intregrity in all that we do. We are born in water, we drink water, we wash in water, water is all around around but sadly water can be life threatening also! Our philosphy is that if you give an individual, whether that individual is a child or adult a sound and fun based foundation in teaching them to swim, they will live long lasting lives filled with enjoyment and adventure! Here at the Star Swimming Academy, we'll ensure that water becomes your friend and you will share it's spirit, which we believe is fun, exciting and has progessive freedom! Our mission is to do our utmost best to ensure that every student who comes through the Star Swimming Academy doors leaves us as a competent swimmer and a person who loves life and lives life to the full. We will teach our students to be safe in the water and instill a life long love of water and swimming. Our students will grow in stature, confidence and develop an atttitude to suceed in all they do in and out of the water! This is the path we took as children and look at us now! We are proud and honoured to be working in a successfull partnership with the following organisations, where our fun based swimming lessons and classes are provided. Are you a School, College, University or Leisure Centre that has a swimming pool? Would you like to earn extra income? The Star Swimming Academy has a successful business model which ensures that we will help you bring in extra income from your swimming pool. If you would like to work with us to maximise your revenue and to help with your pool operational costs, get in touch with us now via our on-line form here. “We cannot make you into the Beatles but we will teach you to swim and have fun at the same time, that is not our dream, that is reality. Period!”. © 2005 - 2019 Star Swimming Academy Ltd.